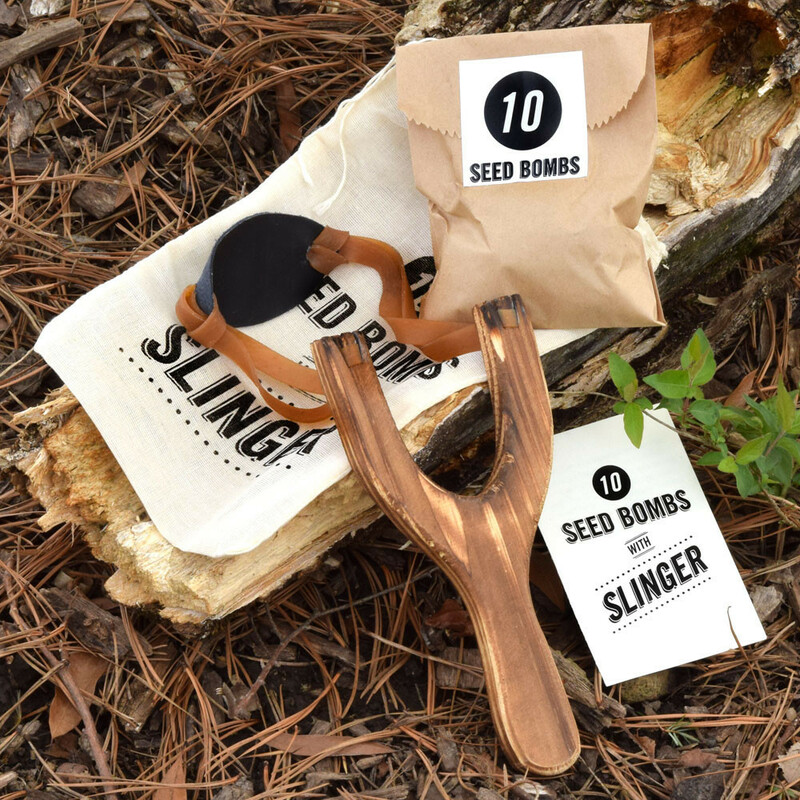 Gift Guide For: The Kids: our 10 Seed Bombs with Slinger gets some love from Ivanka Trump herself! Gifts That Give Back: more love from The Citizenry. Cincinnati Gift Guide // A Few Of My Favorite Things…: plus, Cincinnati love from VB. Northside Photo Show: worth checking out in Cincinnati tomorrow at Chicken Lays an Egg in Northside. How to Make Transit Succeed in a Sprawling City: Calgary versus Dallas. Urbanists Need to Face the Full Implications of Peak Car: on traffic levels in Los Angeles and elsewhere. Detroit by Air: crazy photos. 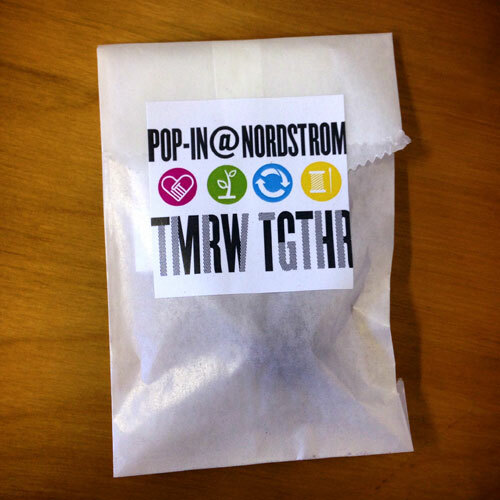 To celebrate our debut in the Nordstrom Pop-In Shop, we produced 2,000 of these little promotional seed bombs, each packaged in a glassine bag sealed with a colorful sticker. We’re thrilled to be part of a pop-up shop at Nordstrom, where you can find our 10 Seed Bombs with Slinger, Herbs, Edible Flowers, Salad Greens, as well as Regional Wildflower Seed Bombs. Windows is a series of oil paintings by Dallas-based illustrator and art director Jim Darling, which capture the world as seen from airplane windows. 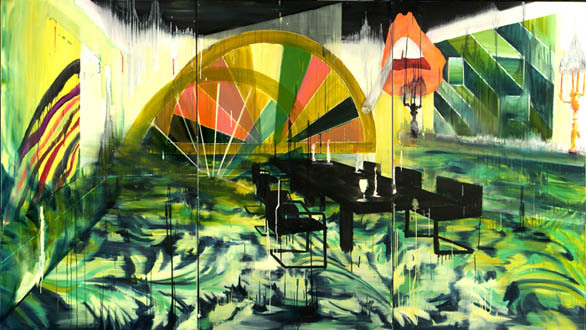 Esther Pearl Watson is an LA-based artist who grew up in the Dallas/Fort Worth area. She is a painter and comic book artist, whose work explores the idiosyncrasies of people and places. These paintings are from her solo exhibit at Billy Shire Fine Arts earlier this year, entitled Visions of the Future. Dallas-born painter Rosson Crow studied at SVA and Yale and creates these drippy, sloppy images of Baroque interiors that seem to be in the process of melting off their canvases. Lurid colors, reminiscent of a Wong Kar Wai film, seem to signal the tragic opulence of a contemporary fin de siècle, fitting these economically uncertain times.